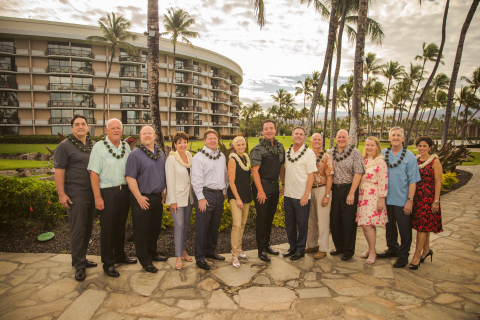 WAIKOLOA, Hawaii--(BUSINESS WIRE)--Hilton Grand Vacations Inc. (NYSE: HGV) celebrates today the opening of Ocean Tower by Hilton Grand Vacations Club with a traditional Hawaiian blessing and ceremony. The resort is HGV’s fourth property in Waikoloa and its first on Hawaii Island with direct oceanfront views. Hilton Grand Vacations celebrates today the opening of Ocean Tower by Hilton Grand Vacations Club with a traditional Hawaiian blessing and ceremony.